Charges of aggravated assault or assault with a deadly weapon in Dallas can result in serious penalties and repercussions. Since these offenses are considered crimes of violence, there are generally limited options for alternative punishments to prison and/or steep fines. Additionally, an individual can face an inability to own or possess a firearm, loss of certain types of government assistance and ineligibility to apply for certain jobs and occupations. It is important to remember that simply because you have been accused of an assault offense does not necessarily mean you will be convicted of the crime. The prosecution is required to prove you committed every element of the offense beyond a reasonable doubt. If your experienced criminal defense lawyer in Dallas is able to cast the slightest doubt on the prosecution’s case, the judge or jury will not be able to convict you of your alleged offense. This can result in a reduction or dismissal of your charges. Aggravated assault allegations can arise from a number of situations, many of which may have been accidental or unintentional crimes. Therefore, it is essential to consult a knowledgeable criminal defense attorney in Dallas who will listen to your side of the story and develop the best possible legal defense for your particular situation. If you have been charged with an aggravated assault offense in Dallas, or any of the surrounding areas in Texas, including Garland, Irving, Grand Prairie, Denton, Plano, McKinney, Fort Worth, Rockwall, Johnson, Wise, Ellis, Arlington, Mesquite, Carrolton, Richardson, Lewisville or Frisco, contact Law Offices of Richard C. McConathy. 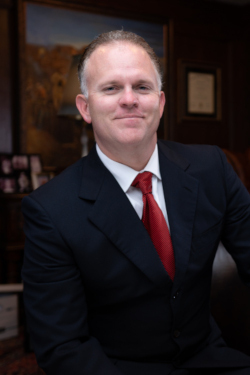 Richard McConathy is knowledgeable in all areas of Texas’ violent crime laws and will make every effort to help you avoid the most serious penalties and repercussions to your alleged offense. Call Law Offices of Richard C. McConathy for a free consultation at (972) 233-5700 about your alleged aggravated assault crime. What Is the Difference Between Assault and Battery in Texas? Assault and battery are two legal terms you may have heard used together before; they are closely related, so it’s no surprise that they’re often charged alongside each other. But understanding the difference between assault and battery can be confusing. This is because the legal definition of these charges differs depending on the jurisdiction. intentionally or knowingly makes unwanted physical contact with a person who regards the contact as provocative or offensive. There is no distinct statute outlawing battery in Texas; assault and battery are charged under a single statute. But that’s not the case everywhere. In other states, the two crimes are charged separately. In the jurisdictions that distinguish between the charges, assault is the threat of unwanted contact. Unwanted contact can include both violent acts and those with a sexual component. In some states, the separate charge of battery is defined as physical contact that is harmful or offensive. If the alleged assault offender uses a deadly weapon or causes serious bodily injury or death during the commission of the offense, they can be charged with aggravated assault under Tex. Penal Code § 22.021. Most aggravated assault offenses require the victim to suffer some kind of bodily injury in order to increase the alleged offense from assault to aggravated assault. According to Tex. Penal Code § 1.07(a)(8), the term “bodily injury” is defined as any physical pain, illness or impairment of any body part or organ. Texas law defines “serious bodily injury” as any bodily injury creating a substantial risk of death or an injury that causes death, serious permanent disfigurement, impairment of any body organ or extended loss of any body organ (Tex. Penal Code § 1.07(a)(46)). If the alleged offender was charged with aggravated assault for causing serious bodily injury to another person or for committing assault with a deadly weapon, a conviction for this offense is generally punishable as a felony of the second degree, which could result in a prison sentence ranging from two to 20 years and/or a fine up to $10,000. In retaliation against a witness. Also, if the alleged offender operates a firearm from a motor vehicle in the direction of another vehicle or building, and causes serious bodily injury to another person, they can be charged with a felony of the first degree aggravated assault offense. Contact Law Offices of Richard C. McConathy today for a consultation about your aggravated assault charges throughout Dallas County in Texas. Richard McConathy is an experienced Dallas violent crimes lawyer who will make every effort to fight the allegations against you. Call (972) 233-5700 or send an online form for a free consultation about your alleged aggravated assault offense throughout Dallas County in Texas and the surrounding counties of Denton County, Collin County and Tarrant County.